In the final year that Major League Baseball allowed teams to just spend whatever they wanted to on international players, the Cincinnati Reds did what they could to take advantage of the situation. They would ultimately spend $30M on the 2015-2016 class of international free agents. The team picked up two shortstops from Cuba on big signing bonuses. They would also pick up Cuban pitcher Vladimir Gutierrez on a large signing bonus that year. 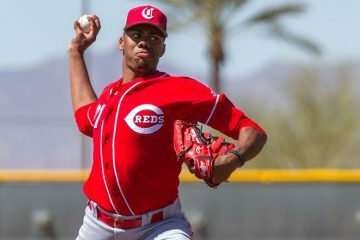 After spending the entire 2017 season in Daytona, the Reds promoted him to Double-A Pensacola for the start of 2018. The first start of the season did not go well for Vladimir Gutierrez. 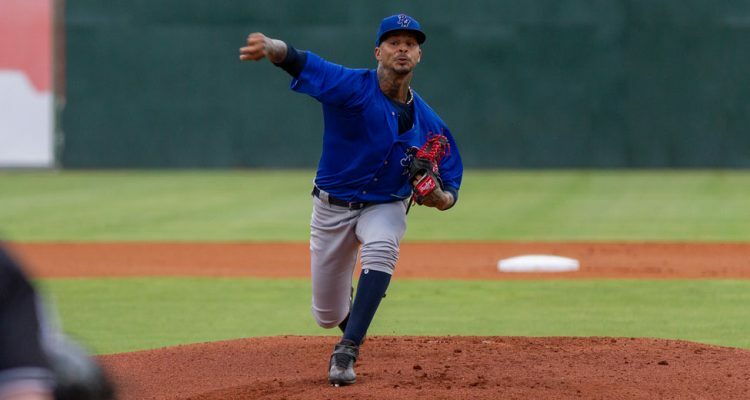 On the road against Mobile, the right hander allowed six runs – four of which were earned – in 3.2 innings where he walked five batters with just one strikeout. Things did improve in April moving forward, but he still ran into some problems in terms of allowing runs. Over the next three starts he allowed 18 hits in 18.0 innings without a walk and with 17 strikeouts, but despite strong peripherals his ERA in that span was 5.00. He finished out the month with a quality start against Jacksonville, allowing two earned in 6.1 innings with six strikeouts. For the month of April he posted a 5.14 ERA in 28.0 innings with five walks and 24 strikeouts. He would also allow four home runs during the month. May didn’t start out any better for Vladimir Gutierriez. The then 22-year-old allowed five earned in 4.0 innings in his first start of the month. He rebounded well the next time out, allowing just two runs in 6.0 innings. That, however, was the only good start he made during May. In his next three starts he allowed four, five, and five runs over a combined 14.1 innings. Batters hit .303/.364/.556 against him during the month. In his 24.1 innings he posted a 7.77 ERA with 30 hits allowed, six walks, 20 strikeouts, and six home runs. The struggles carried over into June. 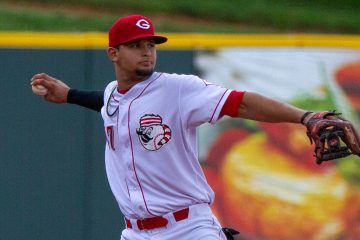 On the 1st of the month, Vladimir Gutierrez allowed four runs in 2.1 innings with four walks and five strikeouts. Things changed from that point forward. The next time out the righty allowed one earned run in 6.0 innings. That was followed up by another one run start on the 12th, a 2-run start on the 17th, and he finished up the month by allowed one run in 5.2 innings. After this rough start he finished the month with a 3.20 ERA over 25.1 innings where he allowed just 17 hits and he walked nine batters. He would also strike out 31 batters and give up just three home runs. All of the success from June carried forward into July. In his first start he tossed 6.0 shutout innings. The next three starts were all 7.0 inning affairs with either one earned, or no earned runs, and he combined for 22 strikeouts with just four walks in that stretch. The final two starts of the month did see him had a few struggles. On the 24th he allowed four earned runs, and followed that up with three earned in 4.2 innings. Still, the month would be the best he had during the season in nearly every category. He threw 36.2 innings and posted a 2.21 ERA in his six starts. The one home run allowed was the best of the year for any month. He would also strike out 38 batters and walk 11. August began with a 2-run, 6.1 inning performance from Vladimir Gutierrez. He followed that up with 7.0 innings of 2-run baseball against Mobile. His third start of the month saw him allow four earned in 6.0 innings without a walk and with seven strikeouts. On August 20th he allowed just one earned in 5.0 innings with eight more strikeouts. Gutierrez would have a hiccup on the 25th, in what would be his worst start of the year. At home against Mobile he was charged with six runs in just 1.1 innings with three walks and three strikeouts. He rebounded well in his final start of the year, allowing just one run over 7.0 innings. That August 25th start hurt his ERA for the month, where he finished with a 4.41 mark in 32.2 innings. 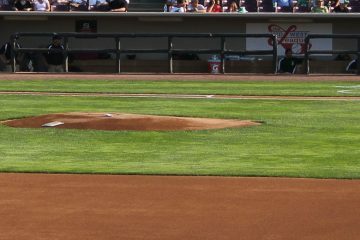 He walked seven batters, struck out 32, and allowed four homers for the month. Fastball | From a velocity standpoint, he sits 92-94 MPH. He can go a little below there at times, and a little above there at times, too. At the top end he can touch 97, but that doesn’t come out often. The pitch moves more with less velocity, as you would expect – but the movement that is there isn’t great. Change Up | It’s a solid offering that’s fringe-average. It has some fading action to it, and works in the low 80’s. Slider | The better of his two breaking balls. The pitch has shorter and tighter breaking action and is a little harder in the velocity department than the curveball – working in the lower 80’s. It’s an above-average offering, though it can be a little bit inconsistent at times. Curveball | An average offering with 12-6 breaking action that has a larger break than the slider, it works in the upper 70’s, touching 80 at times. Vladimir Gutierrez doesn’t have the most ideal starting pitchers frame. But that may have been far more important a decade ago than today, where the game is trending more towards any non-Ace getting through the lineup twice before moving to the bullpen. There are several strengths for the right hander. First is that he’s got four pitches, all of which are at least fringe-average or better. He’s also capable of throwing all of them for strikes. Gutierrez has a low walk rate and that’s been the case since he signed with the Reds. On the flip side, there are some concerns, too. He’s been, at times, quite hittable. When his fastball isn’t located perfectly, guys have been able to find plenty of success against it. At times his two breaking balls will sort of blend together into a slurve that isn’t as good as either the slider or the curveball. The 2018 season was a bit of a tale of two halves. In the first 11 starts of the season, through June 1st, he posted a 6.75 ERA in 54.2 innings where he allowed 61 hits, 10 home runs, walked 15 batters and had 49 strikeouts. In the final 16 starts of the year he flipped that script. He threw 92.1 innings with just 78 hits, 23 walks, 8 home runs, and he struck out 96 batters. When he’s at his best, he was clearly successful and dominant against Double-A hitters. And that version showed up in the second half as he kept the baseball in the park at a much better rate, while making smaller improvements in other areas. In the long run, how well he can control his fastball will likely determine his ultimate role. If he can paint the corners with the pitch, he could reach his upside as a good number three starting pitcher. If he’s unable to be that guy and is more just a solid fastball control option, then he’s probably going to fall into that number four caliber starter who will flash himself better on the days when everything is working right for him. Opposing runners attempted to steal a base against him 29 times in 2018. They were successful 26 times. That was similar to how things went in 2017 when runners stole 20 bases in 23 attempts against him. 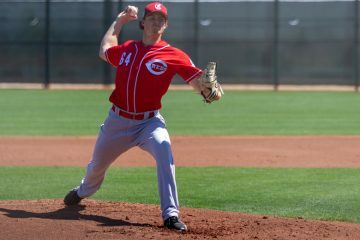 Reds Top 25 Prospect Pitchers: Where Will They Begin 2019? Hopefully he can carry his strong 2+month finish into this season. Also, maybe the new pitching coach can tweak his move or the way he holds on runners to cut down on the stolen base success:attempt ratio. This probably depends on who the Reds decide on to “get the pitching,” and where dominoes fall after that (Reed, Wisler, Sims, Mahle, Mella, etc), but do you think he starts 2019 with a Lookouts uniform on, or a Bats? Tough to say, because as you noted, it may depend on how the big league club handles the pitching staff, both in terms of the rotation and the bullpen (maybe they go with more former starters than usual, with the idea that they can get 3 of them to be 2-3 inning guys twice a week to essentially “piggy back” on some starters). Also, there are new people in charge of the farm system. We don’t really know how they handle the promoting of players, so we can’t go by “what they usually do in situations with players like this” when it comes to promotions. Hopefully he splits 2019 between AA (first half) and AAA (second half). Then next year, start in AAA and up to MLB mid season. I was looking at your prospect ranking and thinking that a catching prospect like Stephenson might be as attractive to teams as a outfield prospect like Trammell (due to the fact that one is harder to come by than the other). I’d love to read your take on our top 10 or top 15 from through that filter. That would be tough to do because it all depends on what team is calling. Some teams don’t need a catcher. Some teams don’t need an outfielder. Some teams don’t need a second baseman. Or in some cases they really need one of those guys more than another. Certainly there is more quality depth in the system for outfielders. Catching however lags far behind. The offensive failures of Okey has made this an even more glaring weakness. If needing to move a top prospect in trade I would be more likely to move an outfielder.